Get Breaking news and updates from the Borough of Clayton. See a Directory of local shops and eateries. 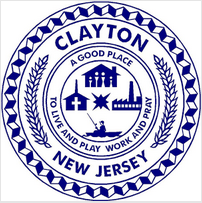 The Clayton, NJ app is the first of its kind in Gloucester county to be used this way. Link to the revised website, check out local business and eateries, check for local news and updates and for town meetings, you can also pay your water and tax bills through the app. Download the free app today for iOS and Android devices.